It is worth repeating, the critical issue is the orbital propellant resources required to sustain an operational infrastructure. As the results given in previous figures have shown, the existing rocket launcher systems and hypergolic propellant space rockets force a level of launcher performance and activity that makes any but limited space operations impractical. Figures 5.9 and 5.10 with Figures 5.16 and 5.17 show the rocket launcher-hypergolic rocket OMV spends over 200 kg of propellant to deliver 1 kg of OMV propellant to LEO. The solution anticipated is to use airbreathing launchers and nuclear electric powered OMVs. 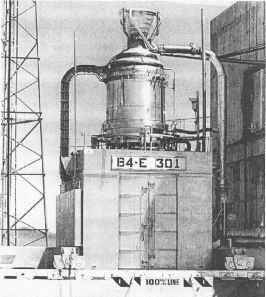 Then the requirement reduces to a figure of the order of 2 or 3 to deliver the propellant to LEO, and of the order of 5 to deliver to LEO propellant required for orbital plane changes. It would appear that the operational infrastructure envisioned by Dr Gaubatz in Figure 5.1 must wait for the operational deployment of the correct propulsion systems for both the space launcher and the OMV.